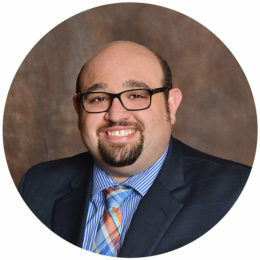 Theodore (“Ted”) Horowitz, a recent transplant from Chicago, Illinois, joined Koglmeier Law Group, P.L.C. in August 2016 as an associate attorney. Ted received his Bachelor of Science degree from Purdue University in 2009, where he studied Organizational Leadership and Supervision. He went on to receive his Juris Doctor as well as a certificate in health law from Loyola University Chicago School of Law in 2013. Mr. Horowitz is admitted to practice in the following jurisdictions: the State of Arizona, the State of Illinois, the United States District Court for the District of Arizona, the United States District Court for the Northern District of Illinois, the United States District Court for the Southern District of Indiana and the United States Court of Appeals for the Seventh Circuit. Ted is zealous in his advocacy for his clients and takes a determined and aggressive approach. Prior to joining KLG, he represented clients in Social Security Disability matters before the Social Security Administration and handled mediations before the United States Equal Opportunity Employment Commission. He also sat on the board of directors for the Loyola University Chicago Health Law Society. Ted currently speaks at various crime free and fair housing certification classes organized by city police departments and government entities throughout Arizona. Ted is also an active participant in the Arizona Multihousing Association where he speaks at various regional coalition meetings and participates in the Project S.A.F.E committee. Ted enjoys spending time with his family, caring for his pets, and working on his cars.